[Photo Essay] No news is good news? No-show is bad news. [Photo Essay] A peculiar expression which no other country has. [Photo Essay] When everyone is asleep, don't you wonder what they do? One step upon stairs.One step toward a healthy life. [Photo Essay] Darkness cannot win over lightness. [Photo Essay] Protect your privacy? Invasion of privacy, it is a big crime. [Photo Essay] Don't get takeout! [Photo Essay] Trapped by my own self. [Photo Essay] In unity there is strength. 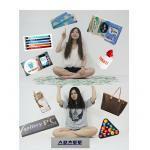 [Photo Essay] How do you spend money? [Photo Essay] Our precious cultural heritage, are we properly preserving it? [Photo Essay] Is plastic surgery absolutely needed?